Ready for an experiment in 3D viewing? 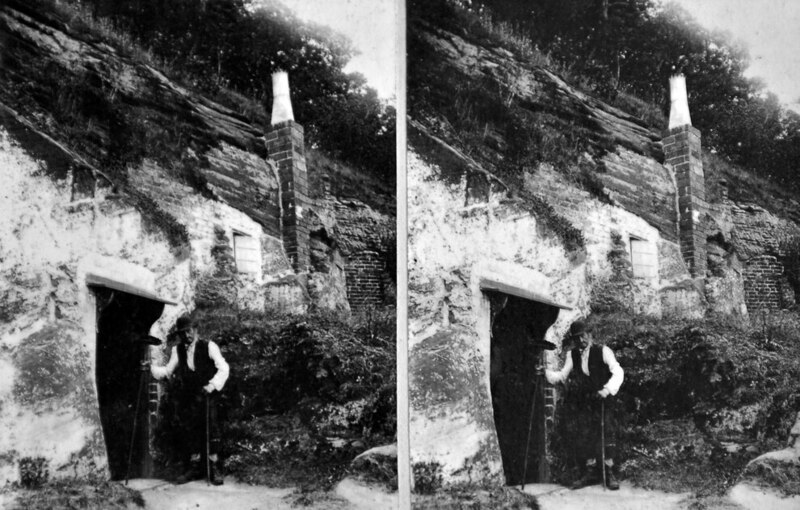 See if you can turn these images of Hermitage Caves, Bridgnorth, into one 3D image. The gatehouse of Stokesay Castle. An unknown sports event at Bridgnorth - handwritten at the side of these stereoscope images in John Dixon's collection is "Bridgnorth Champions". 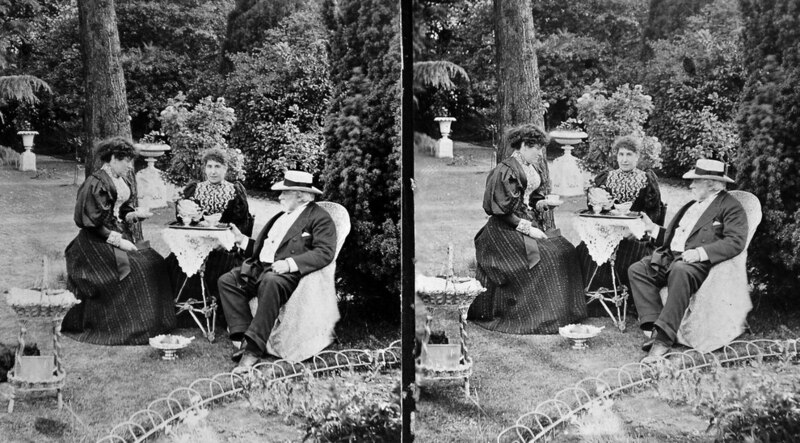 When we published an old stereoscope image of a group having afternoon tea the other day, we jokingly suggested that you would need to dig out your stereoscope to merge the two pictures into one magical 3D image. But Colin Metherell, chairman of The Stereoscopic Society, has got in touch with us to tell us that you don't actually need a stereoscope to get the 3D effect. You can enjoy them in glorious 3D just by looking at the pictures and relaxing your eyes, in much the same way as you can get 3D in those Magic Eye images which were all the rage in the 1990s. Another way is by using a piece of card so that one eye only views one image, and one the other. 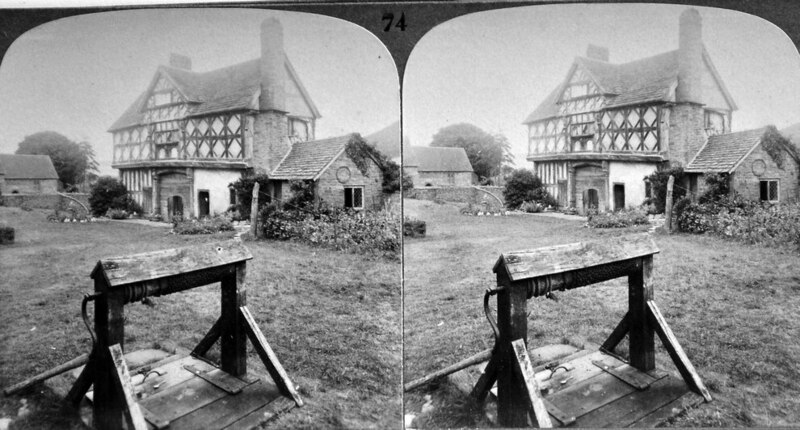 As it happens, we have some other old stereoscope images from the collection of the late John Dixon of Bridgnorth, kindly loaned by son Michael, so we'll serve up a selection here for you to have a go. By the way, this isn't a belated April Fools' joke - but we're making no promises. Here is what Mr Metherell tells us: "A friend forwarded the link to your 3D image of the Victorian tea party in the gardens published in your paper. It is an extremely good quality 3D image. "With a little practice it is possible to see the image in 3D by ‘free-viewing’. If you relax your eyes so that they look in parallel so the left eye sees the left image and the right eye sees the right image, your brain can put the image into 3D, without the aid of a stereoscope. "Another way is to place a piece of card between the two images and look at the images so that the left eye can only see the left image and the right eye can only see the right image. "Incidentally, the name stereoscope was invented by the famous physicist Professor Charles Wheatstone, of Wheatstone Bridge fame, in a paper published in 1838, a year before Daguerre and Fox Talbot published their work on photographic processes. Wheatstone was interested in why we see in 3D and did some 3D drawings, and needed a device to see his drawings in 3D - hence the stereoscope. "Today we use digital 3D cameras for stereoscopic photography, for example the Fuji W3 camera fitted with two lenses and a barrier screen which allows the user to see the image in 3D as the shot is taken. 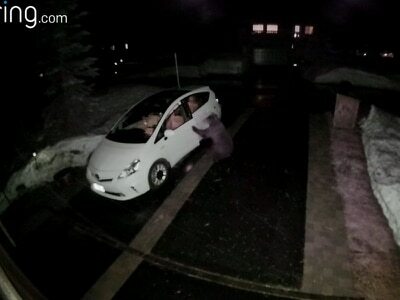 "Some digital cameras can be ‘twinned’, connected by their USB ports, to fire both shutters simultaneously for 3D photography. There are several mobile phones, viewers and picture frames with 3D technology enabling images to be seen in 3D without the use of a stereoscope or other equipment. "I do all my photography in 3D and am hooked on wildlife, particularly orchids, and have done a lot of underwater photography, including humpback whales, whale sharks, dolphins, manta rays, manatees, coral and many tropical fish. "I make 3D videos for showing on my 3D TV and to groups of people. 3D photography is a very immersive hobby. It is enthralling to see images taken some time ago and seeing them in 3D exactly as they were when the image was taken. "The Stereoscopic Society is now in its 125th year having been founded in 1893 and supports all forms of stereoscopic imaging and has meetings in London and Coventry from October to April each year. "Members show their latest images and videos in 3D, projected onto a large screen. For more information on 3D photography see the Stereoscopic Society website, www.stereoscopicsociety.org.uk"